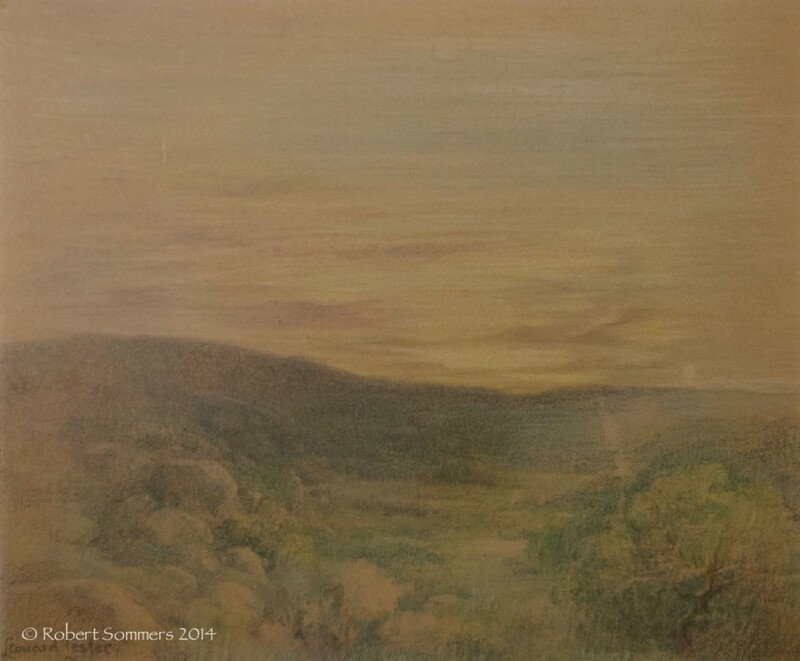 A painter born in Penrith, Cumberland, England on Feb. 4, 1870, Leonard Lester was educated in the Quaker tradition. He became interested in an art career in his early teens and studied in England before immigrating to Canada in 1889. In the early 1890s he moved to the U.S., living briefly in Kansas City before settling in Pasadena. In Los Angeles, he found employment making pen-and-ink drawings for The Art Amateur. He went to the East for two years of art study at the Art Institute of Chicago, National Academy of Design, Art Students League of New York City , and the Pennsylvania Academy of Fine Arts (1894-96). Returning to California, he had studios in Pasadena, Redlands, Santa Barbara, and Los Angeles. Lester studied in Munich and Dresden during 1900-02, and in 1907 was in Cuba where he taught art at the Raja Yoga Schools until 1916. In that year he returned to southern California and lived there for the rest of his life. Until the stock market crash in 1929, he lived in Point Loma and for health reasons then moved to a drier climate at the Julian Eltinge Ranch near Alpine. For many years he painted in the mountains of that area. His final years were spent in Grossmont, CA where he continued to paint until a few years before his death on June 26, 1952. Lester is known for his accurate drawings and atmospheric paintings. Orange Co. (CA) Museum; Santa Fe Railroad; San Diego Museum. CSL; AAA 1903-08.